Aside from red-hot sunsets and tangerine sunrises, the inspiration behind adventurous days in Aspen is simultaneously fueled by another part of the imagination: what’s next on the menu? To the relief of every summit-seeker, paddler, wayfarer and traveler’s appetite: The Valley draws creative chefs from around the country and world who participate in food-centric events in Aspen. Here is a list of classic cuisine staples that are not to be missed throughout the year. We hope to see you at the table. Throughout the year, especially during ski season, guest chefs arrive in Aspen, preparing the latest trends in culinary. These intimate dinners take place at element 47 and are sometimes accompanied by fine arts, charitable giving, and cultural experiences. Previous guest chefs include Biju Thomas, Ryan Hardy, Francis Mallmann, and Jose Carlos Redon. Guest dinners take place throughout the year at Element 47; pricing varies. See the current lineup or ask our concierge. There’s a reason why the Rocky Mountain Oyster Festival returns year after year: the food is simply too tasty to imagine never devouring again and the live music adds a dollop of butter on top. 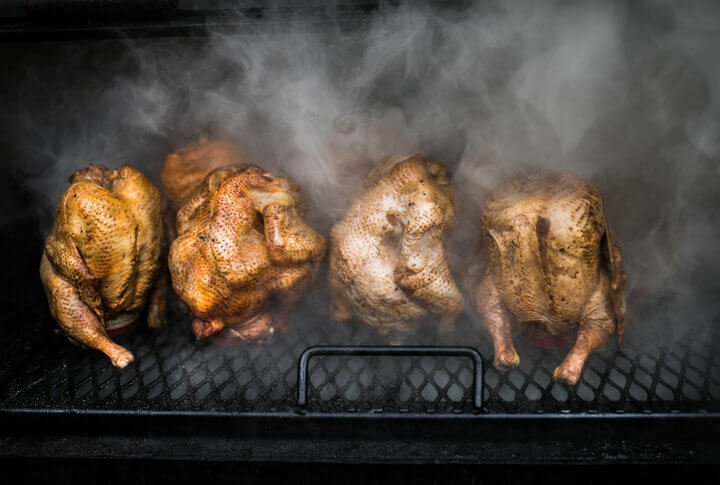 This round’s smoker will feature BBQ Chicken Wings, beer braised smoked beef brisket, smoked turkey legs, and BBQ smoked pork shoulder with sides such as heirloom tomato salad and Olathe corn. From the Rockefeller to the Po Boys recipes, the oyster blowout will be sourced from the East, West and Gulf. And, of course, everyone needs to try the mountain region’s delicacy: Buffalo Fried Rocky Mountain Oysters. Celebrate Labor Day Weekend with grooves to live music and remember to save room for Apple Blueberry Cobbler. American barbecue is a culinary phenom. Though well-established by the 19th century, signature flavors have evolved in regions throughout the country. Memphis has a reputation for pulled pork-shoulder. Kansas City is known for burnt ends smothered in sweet sauce. Beef: the staple of Texas. North Carolina totes a tradition of smoking whole hogs in vinegar-based sauce. Regardless of location, BBQ is a “true American classic,” as Time Magazine elegantly chronicled, and there’s nothing else like it anywhere else in the world. Now, over the decades, it’s branched across every state’s menu in the country. Unique flavors are comprised of several elements: a smoke-induced taste—which is absorbed through a long-cook period, over indirect heat, and contingent on the type of wood—and the spices or rub that are swathed onto the meat. The type of wood used can be reflective of the local environment. Hopefully your appetite is fired up—if not from cruising the Aspen Valley trails by foot or bike—after entering the portrait of traditional barbecue. It’s high time to experience the slow-cooked staple right here in Colorado’s Wild West with dishes created by competing chefs including Chefs Jim Butchart and Andrew Helsey of Aspen Skiing Company, as well as Chef Keith Theodore of The Little Nell. Baby back ribs, mango and mint sauce, cornbread, okra. Fill your plate—and whatever you choose, don’t feel guilty about seconds. You’ll need fuel to burn on the dance floor with live music beating from the rock-and-roll party band, Poser. Annually in September, 6-9 p.m., Gondola Plaza; $95. All proceeds benefit Lift Up, Stepping Stones, Feed My Sheep, and the Aspen Homeless Shelter. Three days. Unparalleled culinary experiences with renowned chefs, winemakers and experts. 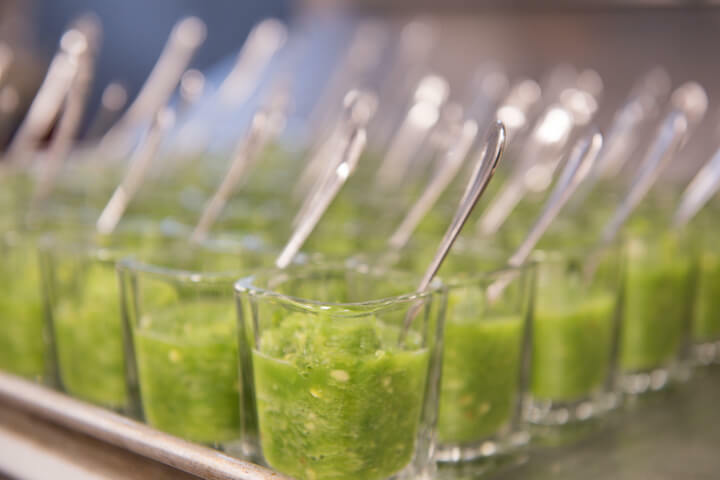 This is a signature event for the epicurean brand and individual with more than 300 wines and luxury lifestyle brands at the Grand Tasting Pavilion and more than 80 cooking demonstrations and wine seminars to attend. If you can attend a single foodie event in Aspen, this is the one. 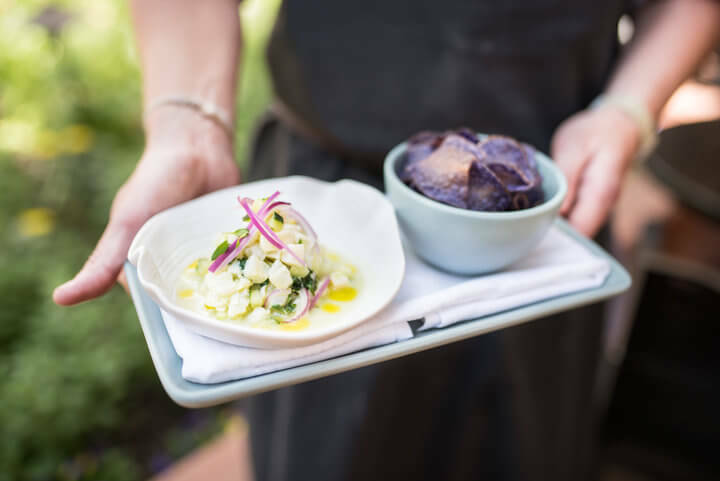 There are food events popping up in Aspen throughout the year, so odds are that if you’re visiting during high season, there will be plenty of culinary delights. If you prefer liquid events, browse the unique wine experience Aspen offers as well.